At American Frame, we love supplying you with on-trend styles and the latest and greatest in museum-quality frames, tools, and accessories. That’s why we’re so excited to announce a stable of new products, along with additional colors and styles of best sellers. Italian craftsmanship pairs with modern style for our new Bevelwoods Collection. 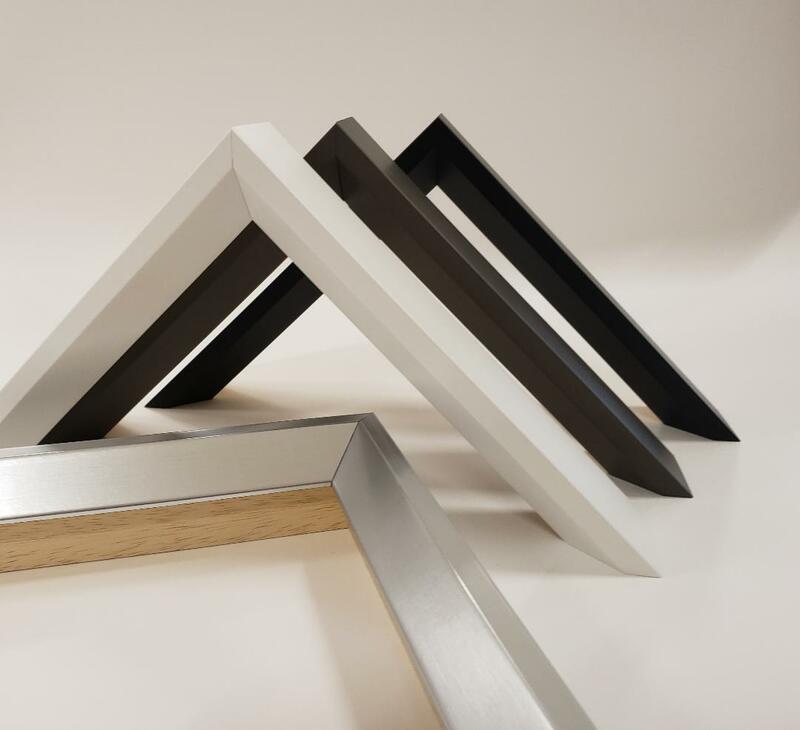 Featuring a sloped “bevel” front designed to draw eyes to the artwork, they’re available in trending colors like Putty and Silver along with classic Black and White. The collection is perfect for paper art, but also deep enough to accommodate canvas. Meet metal’s softer side. The new Nielsen® Fusion Collection features stylish brushed finishes in neutral and metallic shades. With a soft, angled profile, these frames demand a second look. They’re ideal for photographs and works on paper. When you find a product you like, it can be hard to use anything else. But sometimes, a favorite frame or mat board isn’t available in the right color. 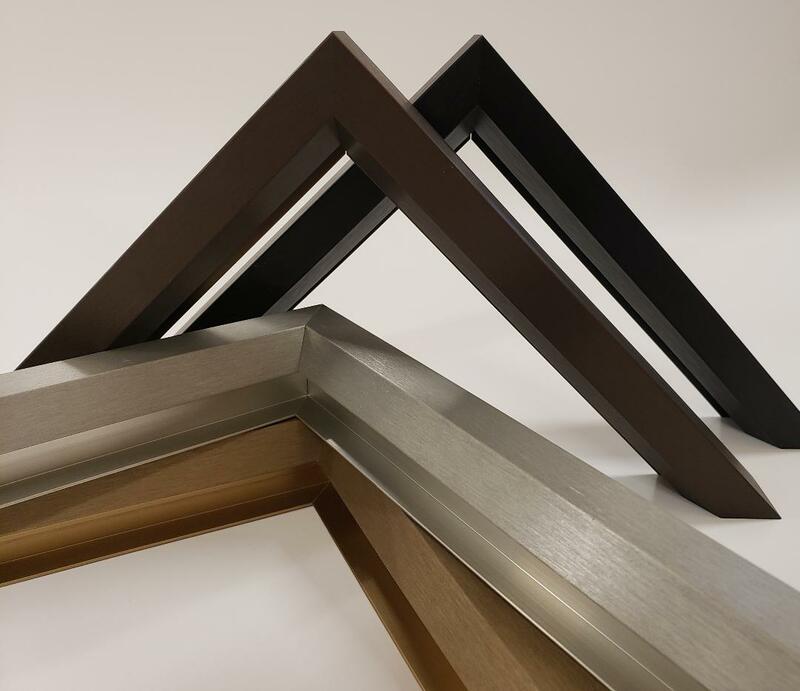 With the addition of new hues of our most popular frames, it’s easier than ever to match a room’s décor or the mood of a piece. Our beloved Canvas Float Frames are now available in new metallic tones Gunmetal and German Silver. Love the current Gold and Silver Canvas Float Frames? Try the new solid-color options. Where the originals had black sides, these have the same tone throughout the frame. All feature a 1 ½” rabbet and are perfect for stretched canvases. Framing a large piece? Our Oversize Mat Board is designed to fit it. And with new shades Tan, Off-White, Grey, Charcoal, and Navy Blue, you have more options than ever. Find out more in this blog post. Protect your art, in vivid color. Bainbridge Alphamat Conservation Mat Board now comes in a variety of bold hues popular in home décor. Choose from playful Peacock, Blue Spruce, Teal Blue, Sapphire and Bordeaux. And for updated neutrals, try Tuscan Brown, Pecan, Terra and Toasted Almond. If you’re a fan of Bainbridge Alphamat Topmat Conservation 6 ply Mat Board in versatile Spanish White, try it with a new black core to add visual interest. We’ve also unveiled Conservation 8 ply Mat Board in new Grey. Love the sharp, pressed look of a tailored suit? 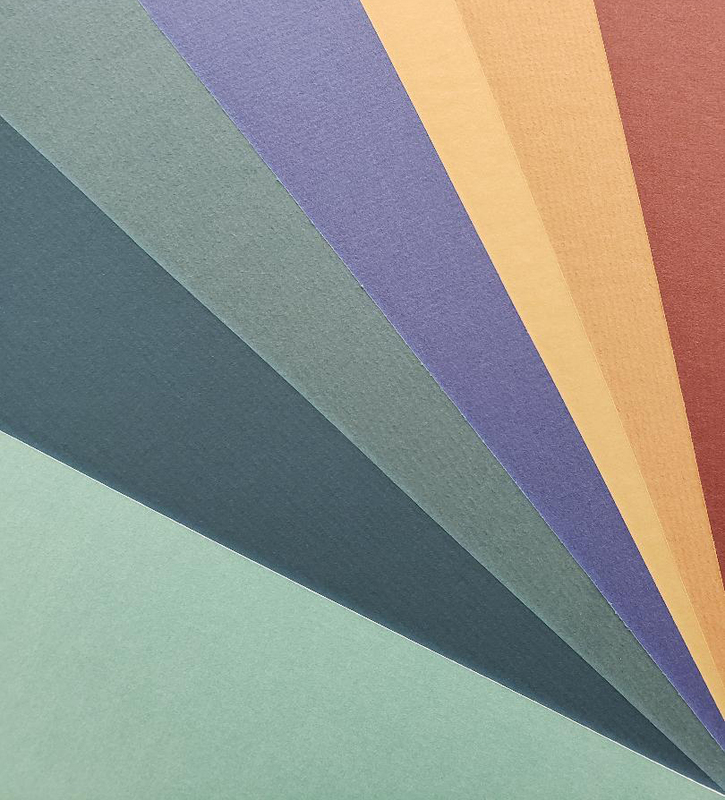 Incorporate it into your art with new shades of Bainbridge Alphamat Linen Conservation Mat Board. The fabric boards take inspiration from traditional menswear and are now available in boardroom-friendly hues like Camel, White Cloud, Chino, and Heather Gray. Looking for something? 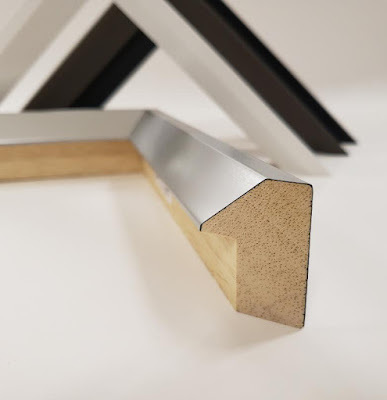 Our framing experts are just a call away. The beveled profile is so interesting. It's dramatic in all the right ways. Do you want to know more about essay writing? follow this link and you will find a lot of useful info!